Product prices and availability are accurate as of 2019-04-18 16:29:15 UTC and are subject to change. Any price and availability information displayed on http://www.amazon.com/ at the time of purchase will apply to the purchase of this product. The best twig and mulch rake around. The round and stiff tines of the Groundskeeper work differently than the flat, flexible tines of other rakes. 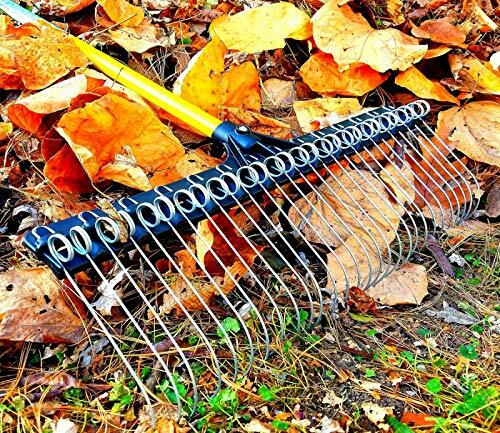 This rake moves twigs, grinder chips, bark, mulch & even gravel like nobody's business. While flat, flexible tines are great for gathering leaves without disturbing the ground, but even better the Groundskeeper does a killer job of removing leaves from bushes by allowing green stems to pass between tines without harm. 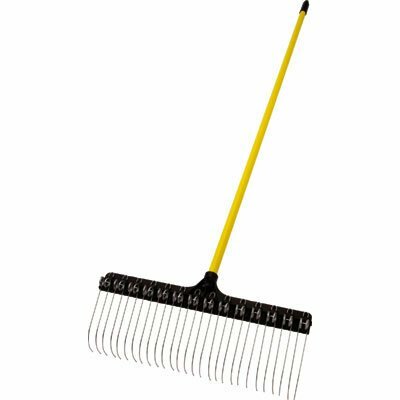 This rake must be used to be believed. 21" head, 28 steel tines, 55" fiberglass handle. *Basic assembly required to attach head to handle (rivet included).